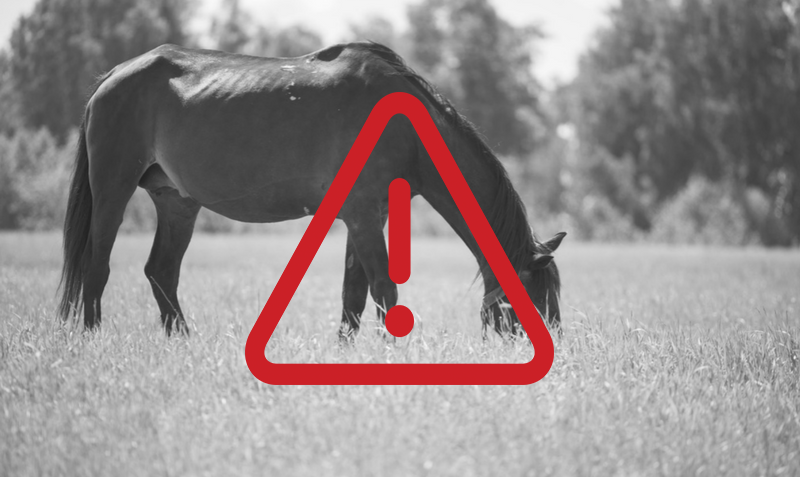 A mule in Johnston County has tested positive for equine infectious anemia, according to a release from the North Carolina Department of Agriculture and Consumer Services. It is the first documented case in the state since 2005. The North Carolina Veterinary Diagnostic Laboratory discovered the infection after a routine blood test. The case was confirmed by the United States Department of Agriculture. EIA, an incurable bloodborne disease, is spread between equines, such as horses, mules and donkeys, after infection from fly or tick bites. There is no approved vaccine for EIA in the United States. The Johnston County facility is under quarantine and the infected mule was euthanized. EIA does not affect humans. Clinical signs include fever, weakness and weight loss and is potentially fatal to equines. The United States typically sees few EIA cases a year. Equine owners with concerns about an animal’s health should contact their veterinarian. For more information about EIA, including details on symptoms and prevention techniques, go to https://cvm.ncsu.edu/equine-infectious-anemia-facts/. NCDA&CS can be reached at 919-707-3250 or ncagr.gov. Veterinary disease alerts can be found at ncagr.gov/vet/DiseaseAlerts.htm.